We help our clients balance the needs of the organization with the good of the employees; and the regulatory environment with the flexibility needed for success. Are you looking for guidance on your company’s human resources journey? Human Resources Consultants, LLC features seasoned professionals who are willing to stand on one leg, or bend over backwards to help you. Does your company have the culture, people and service focus you need to succeed? We offer HR insight, oversight and advice for companies and non-profits including providing outsourced or interim HR management as well as assisting and consulting for strategic HR issues. Our consultants each have 35+ years of experience in all aspects of Human Resources. We provide full life cycle support including strategic planning, M&A due diligence and integration, and many more services for companies and non-profits. We deliver HR solutions with unmatched follow-through and service. Similar to a flamingo, we bring balance to your organization by offering your organization experience, training and commitment that’s second to none. At Human Resources Consultants, LLC, we often compare ourselves to flamingos. The reason is simple. Flamingos stand on one leg and have impeccable balance. We bring balance to all of the organizations that we serve by offering expert HR oversight and sage advice for both companies and non-profits. With more than 70 years of combined experience in the business, our HR consulting services include outsourced and interim HR management and consulting for strategic HR issues, such as regulatory compliance, structuring employee benefits programs, developing and executing compensation strategies, strategizing on employee retention, and hiring and terminating employees. We also provide transactional support for payroll administration, benefits administration, open enrollment as well as employee communication. In a nutshell, if you are looking for balance and expert HR services, we are the ones you want to call! 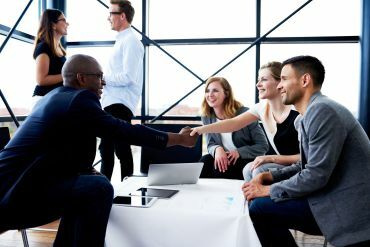 At Human Resources Consultants, LLC, we offer our clients flexible and customizable HR solutions, so they can focus on their core business, thereby reducing costs and improving efficiency. We are here to help you perform HR functions such as employee relations, compensation, recruiting, training, legal compliance, performance improvement, safety, orientations and more. We provide superior creativity in employee benefits plan design, which leads to greater client and employee satisfaction. We are vendor agnostic and can help you navigate the complexities of developing a compliant and cost effective benefits plan. With over 35 years of experience in HR, each HRC employee has provided HR oversight and advice to dozens of companies and non-profits. 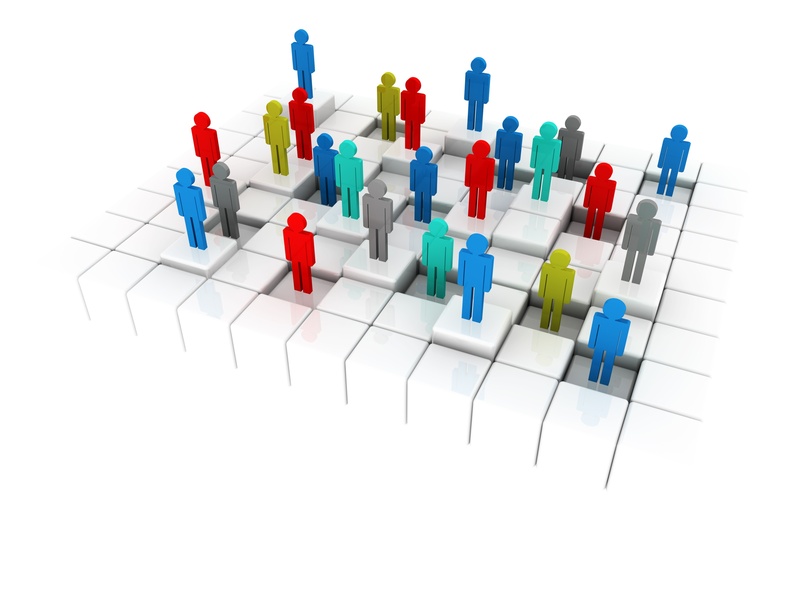 We take a comprehensive approach to helping you manage important human resources functions. We remove the administrative burden from our client’s employees. We work by the project or work by the hour. We can be your outsourced solution, or your “go to resource”, or provide the expertise and support for your existing HR staff, or the advisors to your executive staff. We’ll help ensure that your business complies with the many employment laws and is using “best practice” people leadership techniques to build positive, engaged, and productive employees. Outsourcing your HR will give you more time to focus on and grow your business. You’ll be free to do more of what you do best by letting us do what we do best: manage your HR. At Human Resources Consultants, LLC, we provide an extensive range of human resources solutions. We are well known for our expertise and decades of experience in HR consulting. Best of all, our clients trust us to do whatever it takes for their success, whether we need to be standing on one leg, bending over backwards, or jumping through hoops. In other words, we go above and beyond with tried-and-true HR solutions that will drive your business forward. Only Human Resources Consultants, LLC follows through on the promise of being a true HR partner. We provide analysis of benefits to better serve the needs of your employees while balancing cost considerations, stress-free payroll, and administrative relief with our HR outsourcing services. 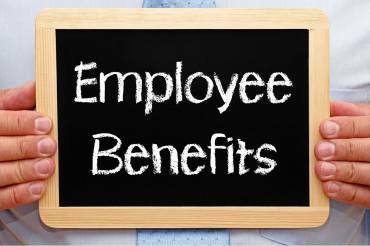 We design quality, cost-effective, employee benefit packages coupled with hassle-free benefits management. We assist our clients in maximizing the performance of their organization’s human assets. Our practical approach includes customized services focused on improving the employee experience while driving organization results. 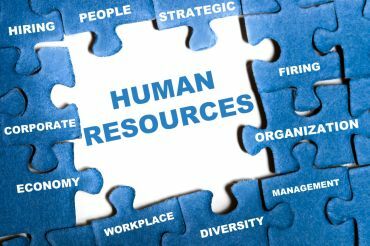 Discover how Human Resources Consultants, LLC, can assist you with all of your Human Resources requirements. Contact us today for more information. Let’s talk. HRC has been our "go to" consultant group for over ten years. As consultants ourselves, we use HRC as a resource, have work with them in partnership, and also recommend them independently to our own clients. They have the HR expertise--especially in compensation, recruitment, and policy--that has helped us to satisfy both government and private clients. They are accurate, timely, and customer-focused. Our clients have been satisfied to the point that they have continued to use HRC again and again. For almost a decade, I have engaged HRC because of their proficiency and broad HR expertise. The services we have used range from recruiting to being an Ethics Hot Line resource and they are always excellent and responsive. Working with HRC (notably Alan Luba) requires minimal explanation of your needs because his extensive experience facilitates a quick understanding of the business challenge and they are consistently proficient and professional. President & CEO, SysNet Technologies, Inc.
As a company experiencing rapid growth on a national level, we knew we needed to have an HR function that would keep pace and allow us to excel at our business. We needed expert advice from someone who had been there and done it in today’s marketplace. We talked to several possible options but found Human Resources Consultants to be the ones that had the competency and experience to rapidly understand our situation and craft a path forward. They set a timeline to thoroughly understand our organization by conducting a top to bottom review of our people and processes. With HRC’s help we implemented a strategy that began with selecting a new HR Director from a pool of very talented candidates. The strategy was rapidly implemented and has been working diligently for the past 24 months. We have more than doubled our staff of (150 to 300+) and have done it in a professional and seemingly simple way thanks to the plan that Alan put in place. HRC is our first thought when we have an HR question that needs input from outside the organization! As a long time HR practitioner, I appreciate HRC’s straightforward approach to problem solving and strategic support. They provide valuable expertise to their clients and do not try to fit “off-the-shelf” solutions into problems that do not require them, only to maximize their own profits. They are both hands-on and strategic, this resulting from many years of top level experience in the corporate world. I can recommend HRC with confidence! Jane has been a critical partner to Becket. Although she is a contractor, it hardly feels that way because she integrates seamlessly with our team and is responsive to their questions and needs-- always going the extra mile. Over the past two years she has revolutionized how we handle human resources at Becket allowing us to provide competitive benefits and services to our team and anticipating the needs of each individual and the organization as a whole. We couldn't have found a more reliable, trustworthy, and resourceful partner. Jane has been working with McKeever Services for more than six years as part of our outsourced C Suite. In addition to the strategic work she does for us, even as a consultant, she’s embedded as our in-house HR professional servicing the day-to-day needs of our company and our employees. We rely on her for her knowledge, expertise, responsiveness and attitude. She always finds a way to accomplish what’s best for our employees and for the organization. Jane is a valued member of our team. We have been working with Jane and Alan for over five years. When they began working with us, we were a small company. Then, and now through our explosive growth, they have been trusted advisers on all HR matters including hiring, on-boarding, compensation systems, benefits, communications, handbooks, employee relations, strategic HR planning, compliance, performance management, HR policies and procedures, payroll, 401(k) management, and Affirmative Action. They recently completed an HR audit with suggested tweaks for more efficient procedures. Our in-house staff has come to depend on them for sound advice. They have consistently exhibited flexibility and responsiveness to the needs of the organization. Jane and Alan are valued members of our team. We have collaborated with Human Resource Consultants for over eight years and have outsourced our own Human Resource needs to them for almost six years. Even-keeled, approachable, practical, responsive and knowledgeable are all adjectives that apply to Jane, Alan and the team. They do a great job of engaging our team and ensuring that useful HR information is disseminated to staff without inundating them with the myriad of regulations that they help us navigate every day. They keep us informed and safe in an efficient and cost-effective manner. For several years, Alan has been a valued advisor to several of our clients. We especially appreciate his strong knowledge of the Government services sector and its unique HR needs. I have never hesitated to refer him in situations requiring senior level HR expertise. Accelera Solutions, Inc. has been leaning on Human Resource, LLC for years. Alan brings over 3 decades of experience and has a deep understanding of the complicated federal/ and commercial HR requirements. Chairman/ C.E.O., Accelera Solutions, Inc.
Alan and I have worked together both as fellow Board members of an organization, as well as helping some early stage companies raise capital. He is a first class professional, a man of high integrity with a tremendous wealth of business and strategic expertise. Highly recommend. I engaged Alan and HRC to review and oversee our Human Resources functions during the months leading up to a successful acquisition. Alan was extremely effective in identifying and fixing potential problem areas, improving employee engagement, and aligning my company’s HR practices with all federal and state requirements for government contractors, including compliance and compensation. Alan proved to be a valued advisor to me, as CEO, and to our senior managers. At Human Resources Consultants, LLC, we are a partnership of highly experienced HR executives, each of whom has 35+ years of senior level HR experience. We are relationship managers, specialists and experts who provide valuable outsourcing services in HR, benefits design, employee relations and so much more. Hosting and Maintanance by MJW Media, Inc.